Business transactions are always about needs versus assets. And that’s what trades in professional sports are. A GM will assess their team and see what is needed and what can be given up. Sam Presti, the GM for the Oklahoma City Thunder, has made his bread and butter in the previous 5 seasons by taking advantage of other teams’ needs for financial relief. It’s how he obtained Thabo Sefolosha, Eric Maynor, Kendrick Perkins, Daequan Cook, and the draft pick that became Serge Ibaka. He did this by meticulously managing his cap space and not making hasty free agent/trade decisions. Now that the Thunder are done with the rebuilding process, and are currently in the championship building phase of their development, some of the things that Presti used to swing advantageous deals are no longer available. The Thunder are currently $900K over the salary cap, meaning that they can’t absorb contracts, and must instead match salaries up to 125%. As ironic as it sounds, a negative of being frugal and careful with your spending, is that the Thunder are not saddled with any bad contract, which can become very advantageous in their expiring years. With the loss of Eric Maynor earlier in the season, the Thunder lost one of the best game managers (backup or starting) in the game. He was the ultimate yin to Russell Westbrook’s yang, and provided the Thunder with a stabilizing force at the point guard position whenever necessary. 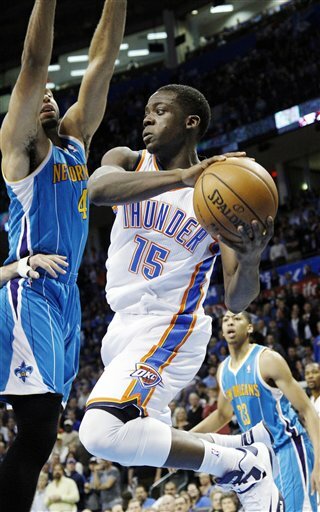 Now, in his place, is a rookie, Reggie Jackson, who has looked every bit the part of a rookie. His play, while improving, has been inconsistent, as he is still trying to find his comfort zone on this championship caliber team. Kind of a tall order for someone who wasn’t expected to be thrust into such an important position at this moment in his young career. 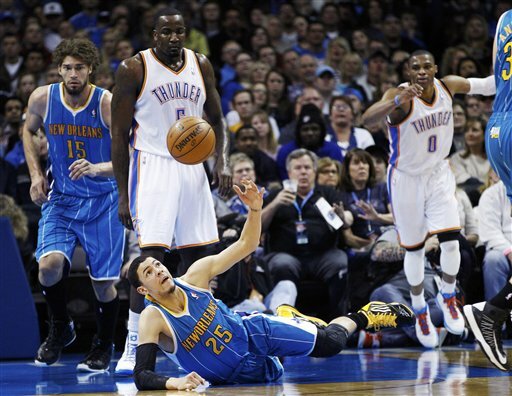 Because of Jackson’s inconsistent play, a quality backup point guard has suddenly become a need for the Thunder. The thing about a wing oriented team is that if the shots aren’t falling and the “box and 1” defense is working, it makes it nearly impossible to consistently score points. The Thunder are lucky to have such dynamic scorers like Kevin Durant, James Harden, and Westbrook. 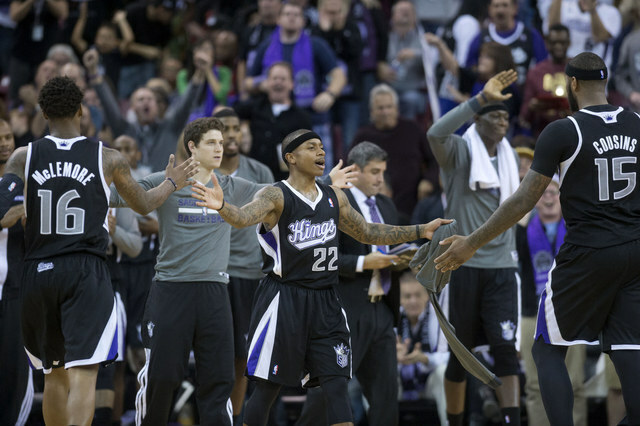 These players have made their careers by consistently hitting shots with hands in their faces. But in basketball, the closer you are to the basket, the more efficient and easier your scoring becomes. And the Thunder have never had a low post scoring threat. It’s one of those things that makes scoring in the playoffs a whole lot easier. Nazr Mohammed – $3.75 Million – Veteran big man that could fit in on a contender that needs size. Cole Aldrich – $2.29 Million – 2nd year big man that has shown improvement and could be a good rotational big, if not for the Thunder, than for another team. 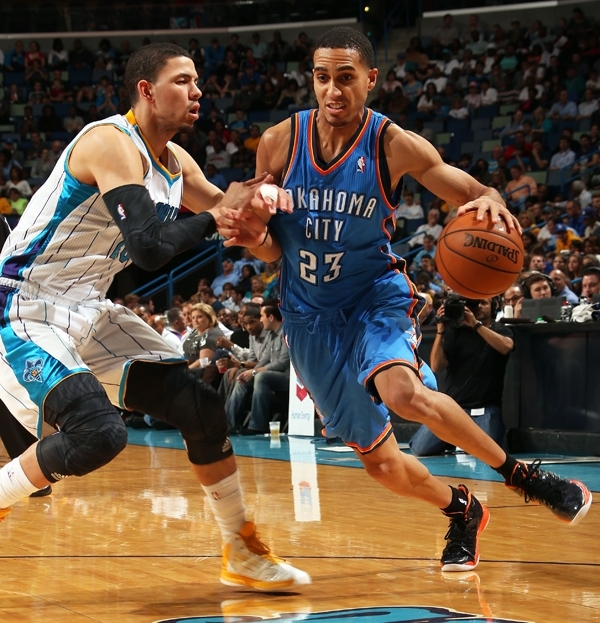 Thabo Sefolosha – $3.3 Million – Veteran wing who is still one of the better wing defenders in the league. Royal Ivey – $1.2 Million – Veteran guard who provides good energy off the bench. Charlotte’s 2013 2nd round pick (obtained in the Byron Mullens trade) – Charlotte probably isn’t going to get much better next season and that pick will probably be in the 30-35 range, where a good player can still be picked up. 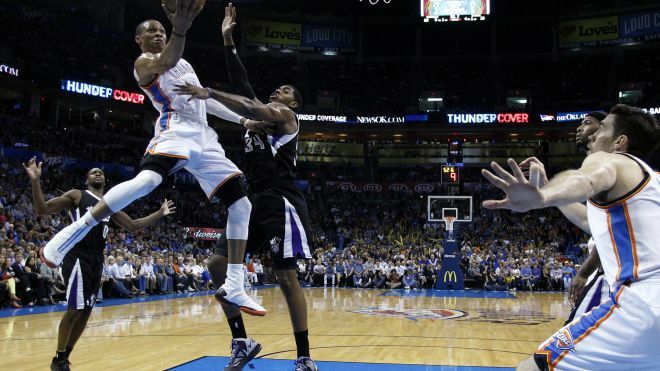 OKC’s 2012 1st round pick – Will probably be in the 25 – 30 range of the first round. Late in the first, but still useful for stashing an overseas pick or rebuilding. Boston – Keyon Dooling ($2.25 M) and Marquis Daniels ($854 K) for Nazr Mohammed. Boston is in desperate need for big men after the losses of Jeff Green, Jermaine O’Neal, and Chris Wilcox. Keyon would provide a veteran point guard that has played in the playoffs before. Daniels would more than likely be cut. New Jersey – Sundiata Gaines ($854 K) for Charlottes 2013 2nd round pick – Gaines has quietly put up a good season as a backup point guard for the New Jersey Nets. New York – Mike Bibby ($854 K) for OKC’s 2013 2nd round pick – With the emergence of Jeremy Lin and the return of Baron Davis from injury, Mike Bibby is no longer necessary in New York. Cleveland – Ramon Sessions ($4.3 M) for Nazr Mohammed and Charlotte’s 2013 2nd round pick – Compared to other teams’ offers, this is probably a “No” for Cleveland, but it’s still worth a try. Milwaukee – Andrew Bogut ($12 M) for Kendrick Perkins, Daequan Cook, and OKC’s 2012 1st round pick – Bogut is just as good defensively as Perkins, while providing a lot more offense, if necessary. The Bucks will probably want either Harden or Serge Ibaka, which would make this a deal breaker for the Thunder. 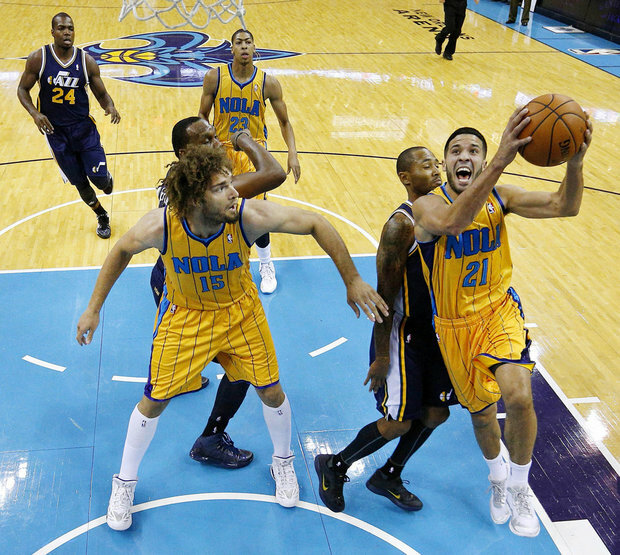 New Orleans – Greivis Vasquez ($1.11 M) for Lazar Hayward and Charlotte’s 2013 2nd round pick – New Orleans is in full rebuild mode and looking to acquire quality draft picks. A very high 2nd round pick would do just that. The question becomes how does New Orleans view Vasquez? Charlotte – DJ Augustine ($3.2 M) for Nazr Mohammed and Lazar Hayward – I don’t understand Charlotte’s desire to trade Augustine, as Kemba Walker is still a rookie and is more undersized SG than starting PG at this point in his career. But, if they want to, we’ll participate if the cost is not too much. Free Agent – Anthony Carter (formerly of the Toronto Raptors) was recently waived to give him the opportunity to sign with a contender. Using our Disabled Player Exception from the Maynor injury, which comes out to $758,340, we could sign Carter for the rest of the season. Orlando – Dwight Howard ($18.1 M) and Ish Smith ($762 K) for Kendrick Perkins, James Harden, Eric Maynor, Cole Aldrich, OKC’s 2012 1st round pick, and Charlotte’s 2013 2nd round pick. I don’t know if Orlando gets a better infusion of young talent and draft picks from any other team. What does the team look like on Thursday at 3:01 PM? I think we stay pat. 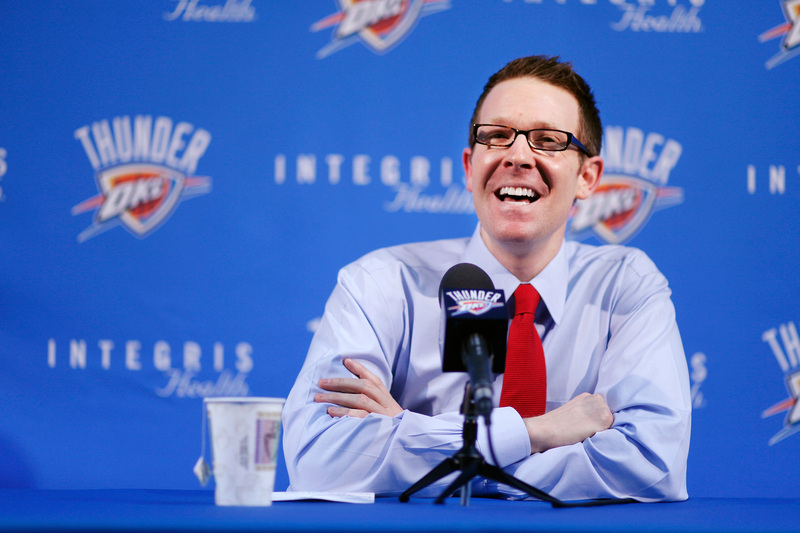 Making reactionary moves is not Presti’s style. He knows we still have Maynor next season and Jackson will have gained an invaluble amount of experience in his rookie season. A smaller scale signing, like Anthony Carter will be possible, though.